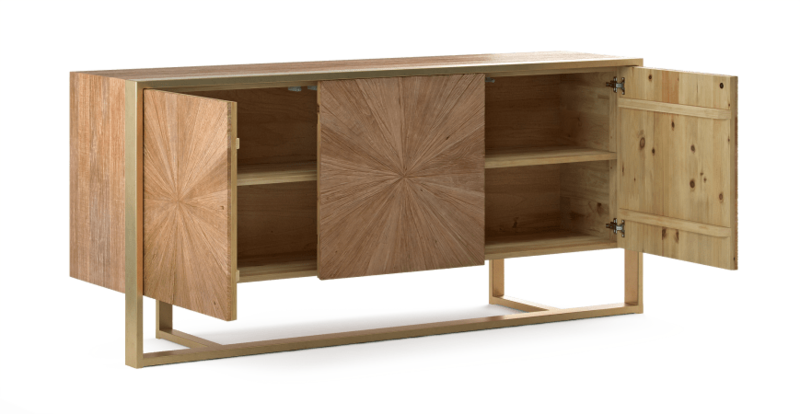 The Artemis Sideboard Large is the perfect piece to spice up your interior style. 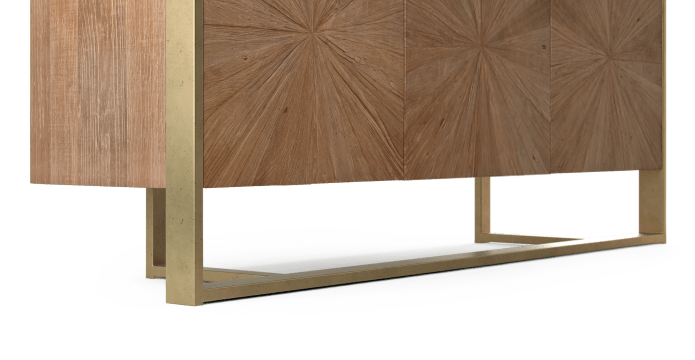 Understated glamour meets raw masculinity, as the intricately detailed wood pairs with eye-catching simple brass frame. This is a statement piece that you will love, no matter the setting. 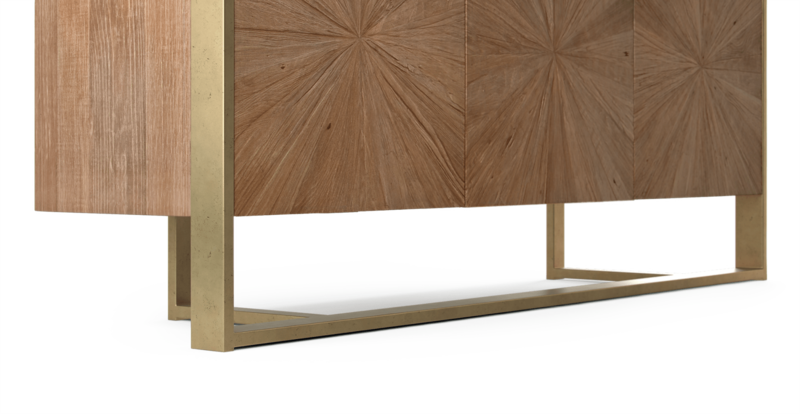 The Artemis is built from new elm, a resilient timber which is known for its strength and attractiveness. 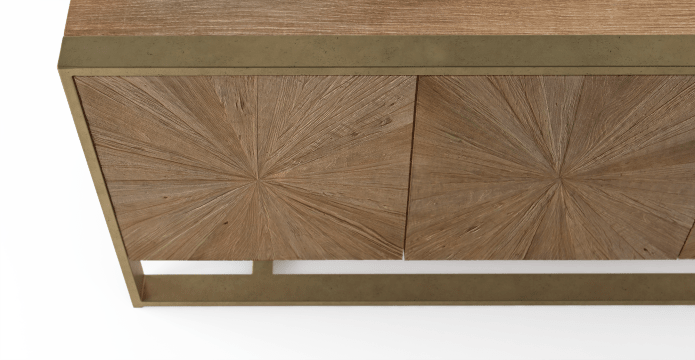 The pretty brass finish contrasts perfectly with the simple form of the legs, a perfect match with the starburst engraved timber of the new elm doors. The cupboards open to reveal two cupboards with shelves, one with double doors, which make finding a place for the clutter a breeze. Delivered on time and item is exactly as picture with excellent quality.